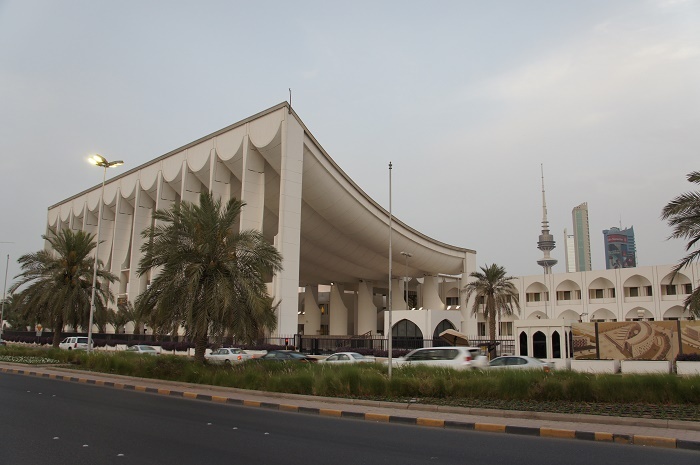 The Kuwait National Assembly Building is the official seat of the Parliament of the State of Kuwait, located in the capital Kuwait City. 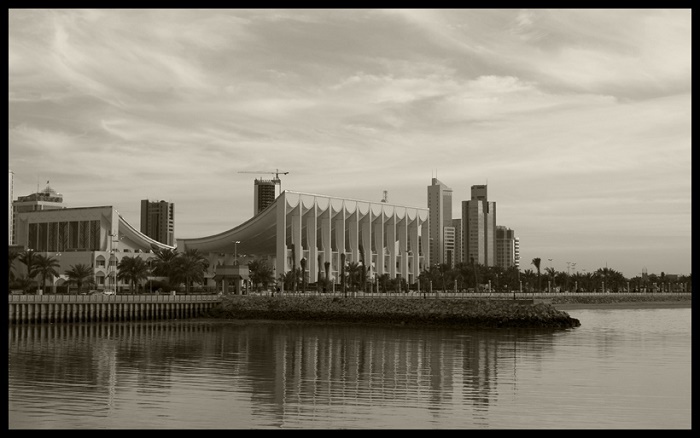 Following the independence of Kuwait, in late 1969 there has been a plan to be constructed new buildings for the public administration. 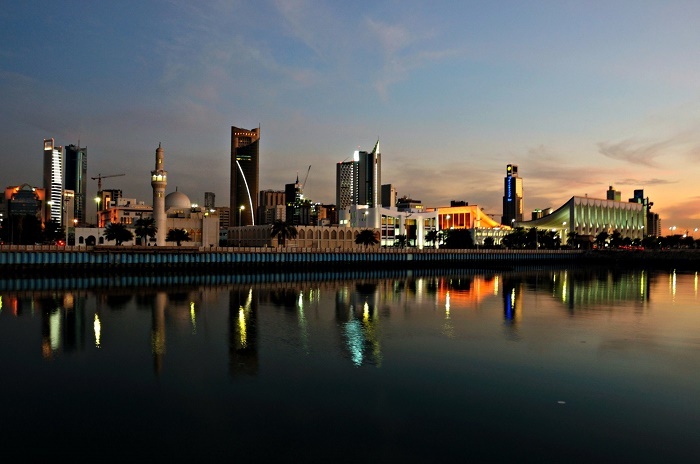 No single building typology reveals as much about a nation’s political culture as the seat of its government. 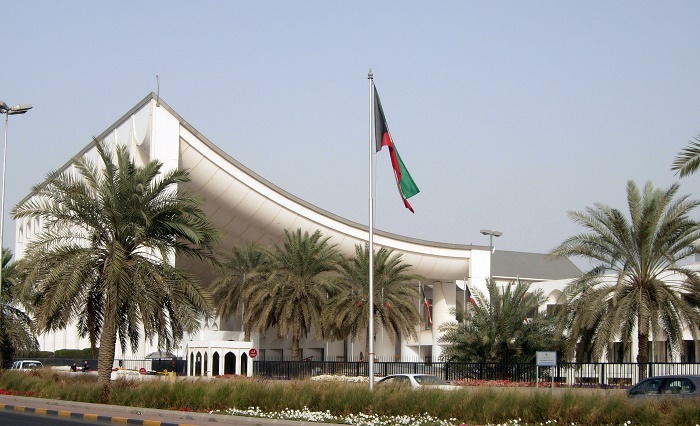 Parliamentary or palatial structures can tell stories of bureaucratic sprawl, autocratic excess, democratic openness, and anything in between. 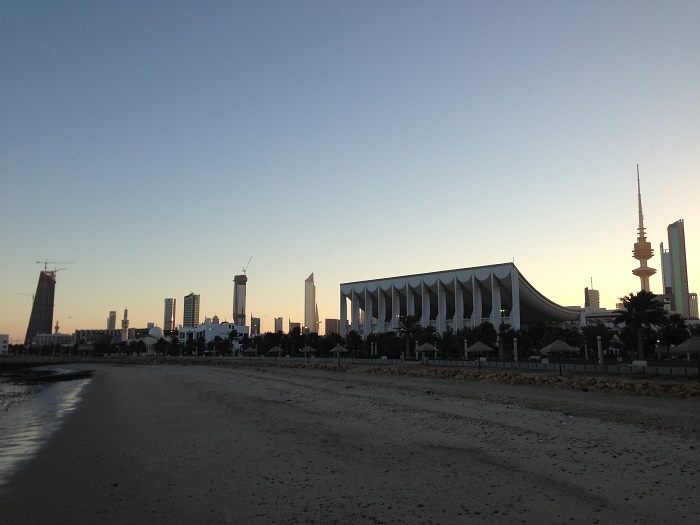 So, the Kuwait authorities invited Jørn Utzon to participate in a competition for a National Assembly building to be located on Arabian Coast Street on the city’s waterfront. Utzon, who was living in Hawaii at the time, prepared preliminary sketches which he sent to Oktay Nayman in London, who made construction drawings, and to his son Jan in Denmark who produced models. Familiar with Islamic architecture, Utzon based his competition design on a walled miniature city consisting of departments arranged around courtyards and accessed through a central hall, rather like a souq. 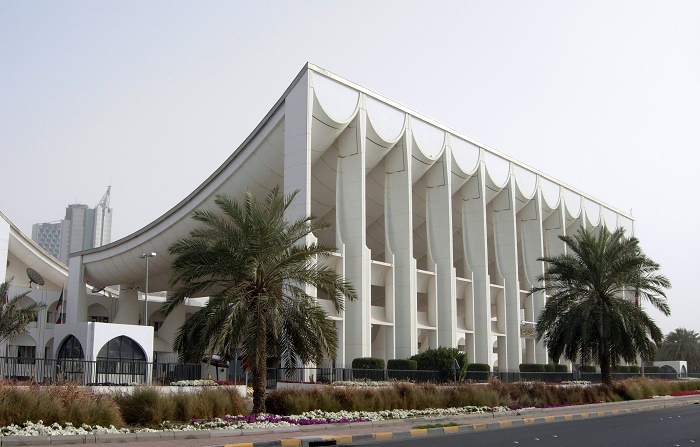 His scheme most prominently features a public colonnade of soaring, thin piers that support a graceful, draped concrete roof over an open plaza. Its dramatic curves, composed of a series of semi-circular shells set onto steel cables, gesturally sweep down from atop the columns to the height of the building behind it in the natural form of a catenary. 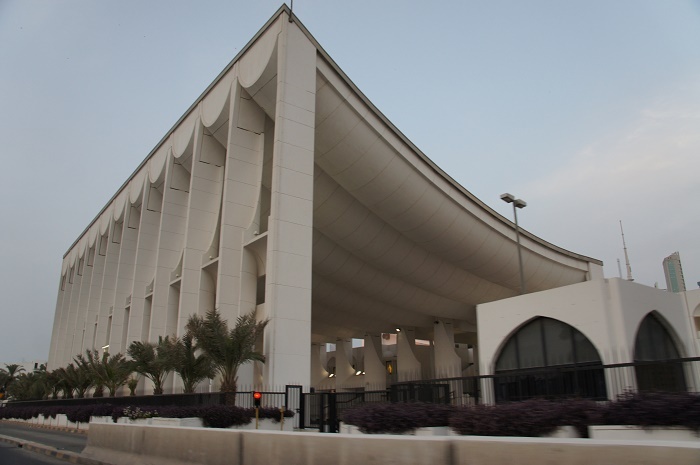 Utzon claimed that the cloth-like sensation of the roof references the iconic tent construction of the Arabian Bedouin people. 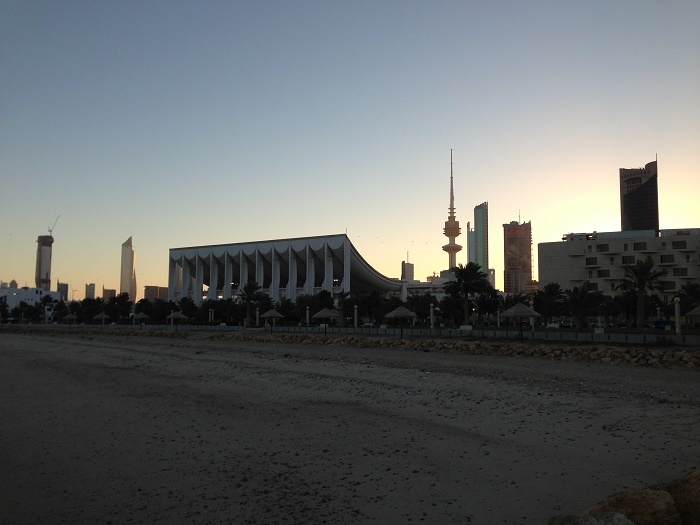 Rising up toward the Kuwait Bay in front of it, the architecture is both inviting and forward-looking, casting its lofty gaze outward toward the sea and beyond. It has been noted that Utzon was working on the project for almost 3 years before deciding how the building should be exactly. Construction work began in July 1978, and it has been decided to make maximum use of precast concrete components, facilitating the best use of local resources. Apart from the elements for the two wide-span roofs, which were cast on site and moved into position on so-called “railway tracks”, all the components were indeed prefabricated in standard sizes. The building was completed in 1982. 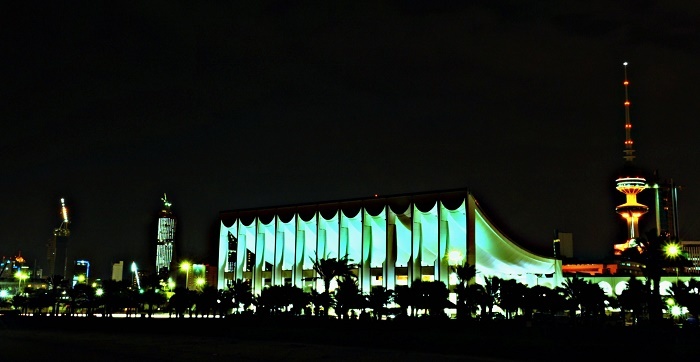 Today the Assembly Building remains one of the few architecturally compelling achievements by a Western architect in the Middle East.